April, Sunday 17, 1864 Near Wood Ville Ala I am on Camp guard to day Acting Corapl of the guard we had a very Pleasant day in the fore noon but it rain in the afternoon, our Co. Divied up in to Mess to day 3 messes to the Co Sergeant C.G. Curtis the head of mess 1st Seargt. Benett [Massey?] & Corpal [Rawlenson?] [?] I am in mess [3th?] 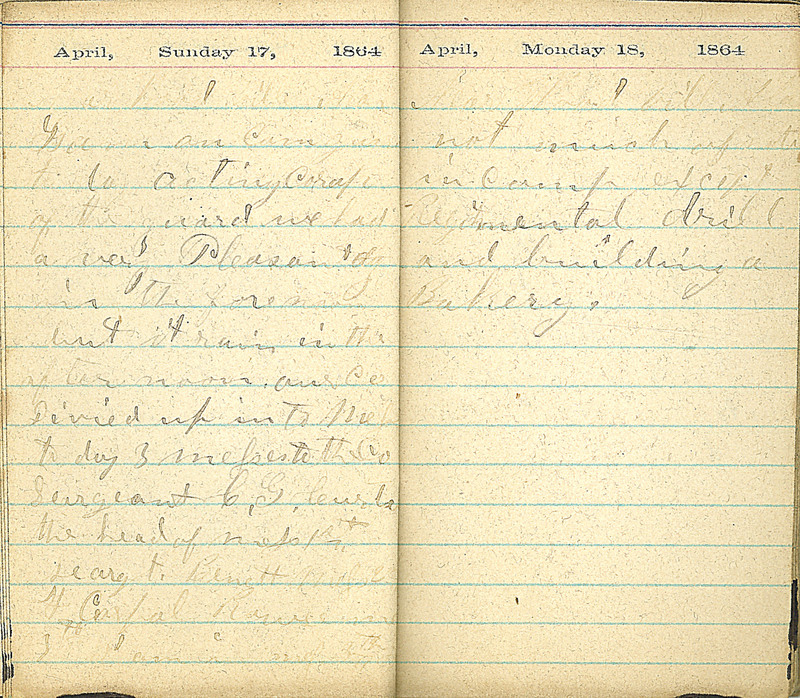 April, Monday 18, 1864 Near Wood ville Ala not much of note in Camp except Regimental drill and building a Bakery.